Lily is one of the founding partners of Albar & Partners. Lily is the Joint Managing Partner. She heads the Corporate and Commercial and Equity Capital Markets practice groups, while also co-leading the Banking & Finance practice group. Lily focuses on large scale M&As and de-mergers, public take-overs initial public offerings, listings and de-listings, REITs, privatisation projects and joint ventures. She is highly experienced in sophisticated structured finance, asset backed securitisation and project finance transactions (both domestic and cross border), conventional bonds and complex Sukuks. 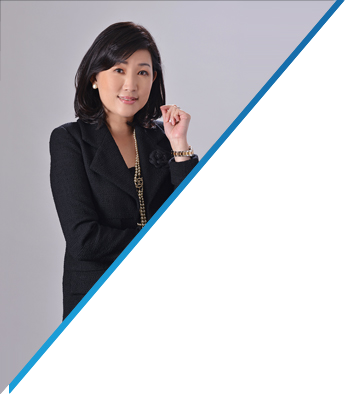 With her extensive background, she has advised in many ground-breaking transactions which have won awards as some of the top deals in the nation and South East Asia. B.Ec (Accounting), Monash University, Melbourne, Australia. LL.B, Monash University, Melbourne, Australia. Advocate and Solicitor of the High Court of Malaya. ALB Malaysia Law Awards 2017: Inaugural winner of the “Woman Lawyer of the Year” award. Asia Pacific Legal 500: The Guide to Asia’s Commercial Law Firms: “Leading Individual” in Banking & Finance since the 2014 edition until the current edition, also ranked as “Leading Individual” in Capital Markets since the 2018 edition. Asialaw Profiles: Definitive Guide to Asia Pacific’s leading regional and domestic law firms and lawyers: “Market Leading Lawyer” for Banking, Capital Markets and Corporate/ M&A (2018 edition), “Market Leading Lawyer” for Banking, Capital Markets and Construction & Real Estate (2015 – 2017 editions) and “Leading Lawyer” in Malaysia in Capital Markets & Corporate / M&A (2014 edition). IFLR1000: The Guide to the World’s Leading Financial Law Firms: “Highly Regarded Leading Lawyer” for Banking & Finance, Capital Markets, Energy & Infrastructure and M&A in 2018 edition, Leading Lawyer” for Banking & Finance, Capital Markets, Energy & Infrastructure and M&A since the 2015 edition to 2017 edition. Lily has been praised for her “responsiveness” and “business acumen and congeniality” - Asialaw Profiles (2018 edition). 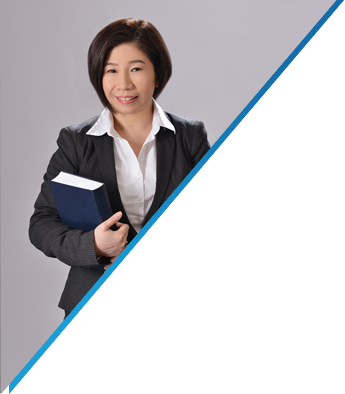 "…she has vast experience and commendable knowledge…provides valuable opinion and input.” - Chambers Asia Guide (2018 edition). “Highly commendable and responsive.” – IFLR1000 (2018 edition). Led in the merger of Malaysia Building Society Berhad (MBSB) and Asian Finance Bank Berhad (AFB) in which MBSB acquired 100% equity interest in AFB, creating the 2nd largest stand-alone Islamic bank in Malaysia. Led the joint principal advisers and lead arrangers in the establishment of the unrated perpetual Sukuk Wakalah of up to RM 800 million established by Tanjung Bin Energy Sdn Bhd which was recognised as Perpetual Deal of the Year (IFN Deals of the Year Awards 2017). Led in the RM 2 billion Perpetual Sukuk by DRB-HICOM Bhd, which won Islamic Finance Deal of the Year award (The Asian Lawyer’s Emerging Markets Awards 2015: Singapore) and which was also recognised as one of the Asian-MENA Counsel’s Deal of the Year 2015. Led in the Boustead REIT privatisation, which was named “Best Islamic Privatisation” (Triple A Islamic Finance Awards 2014), “Islamic Finance Deal of the Year” (Asian Lawyer’s Emerging Markets Awards 2014) and “Equity Market Deal of the Year” (ALB Malaysia Law Awards 2015). Led in the global listing of Malaysian plantation giant, Felda Global Ventures Holdings Berhad, which was the largest IPO in Malaysia and 2nd largest IPO in the world for 2012 at the point of listing. The deal won an Asian-MENA Counsel Deal of the Year 2012 award and IPO Deal of the Year award (IFN Awards 2012). Led in the USD 4.2 billion IPO for PETRONAS Chemicals Group Berhad, which was hailed as the largest IPO in Malaysia and the largest IPO in South-East Asia for 2010. This deal won the Best Malaysia Deal 2010 Award (Finance Asia’s Awards for Achievement 2010) and the Equity Deal of the Year 2010 Award (IFN Deals of the Year Awards 2010). Authored an article entitled “The Malaysian Perspective of Sukuk Issuance” published by Asia Law & Practice in “Islamic Finance: Outlook & Opportunities” in December 2007. Authored an article entitled “Malaysia: The Legal and Regulatory Framework” published by Asia Law & Practice in “REITs in Asia: From Concept to Completion” in June 2005. 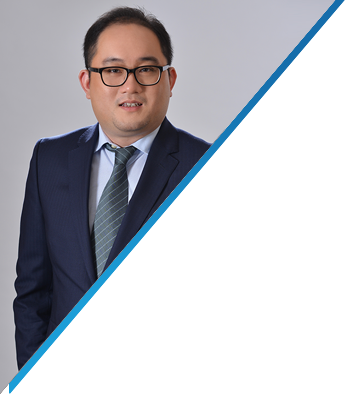 Swee Loong is one of the founding partners of Albar & Partners. 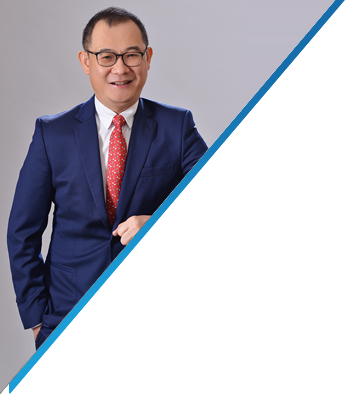 Swee Loong is the Joint Managing Partner. He co-heads the firm’s Banking & Finance and Debt Capital Markets practice groups.Swee Loong has a track record of having advised on many mega and innovative structures in Banking & Finance (both conventional and Islamic finance) and Debt Capital Markets instruments, structured finance, asset backed securitisation and project finance transactions, some of which have won awards as benchmark transactions in South East Asia. B.Ec (Accounting), The University of Sydney, Australia. LL.B, The University of Sydney, Australia. Barrister-at-Law, Supreme Court of New South Wales, Australia. Asia Pacific Legal 500: The Guide to Asia’s Commercial Law Firms: “Leading Individual” in Banking & Finance since its 2014 edition until present. Asialaw Profiles: Definitive Guide to Asia Pacific’s leading regional and domestic law firms and lawyers: “Market Leading Lawyer” for Banking and Capital Markets (2015 to the current editions) and “Leading Lawyer” in Malaysia for Banking and Capital Markets (2014 edition). Chambers Asia Guide: “Band 1 Leading Lawyer” for Banking & Finance since the 2015 to the current editions. Also ranked for Capital Markets and Islamic finance. Listed in the Euromoney’s 2012, 2017 & 2018 Guide to the World’s leading Banking, Finance and Transactional lawyers: for Capital Markets and Islamic Finance. IFLR1000: The Guide to the World’s Leading Financial Law Firms: “Highly Regarded Leading Lawyer” for Banking & Finance, Capital Markets, Energy & Infrastructure and Project finance in the 2018 edition, “Leading Lawyer” for Banking & Finance, Capital Markets, Energy & Infrastructure and Project since its 2015 to 2017 editions. Swee Loong has been noted as “extremely diligent, commercially minded" and "able to articulate his views well." – Chambers Asia Guide (2016 edition). Clients have praised Swee Loong as "… very experienced and has the ability to combine commercial knowledge with legal expertise.”– Chambers Asia Guide (2017 edition). Swee Loong has been complimented for possessing “… a deep understanding of Malaysian laws which allows him to structure elegant transactions.” - Chambers Asia Guide (2018 ed). Advised the issuer in the inaugural Sukuk Programme of up to RM 2 billion for Senior and Subordinated Sukuk Murabahah established by Danajamin Nasional Berhad, Malaysia’s first financial guarantee insurer. The deal was acclaimed Commodity Murabahah/ Tawarruq Deal of the Year (IFN Deals of the Year Awards 2017). Advised the principal adviser and lead arranger in an unrated Islamic medium-term notes programme issuance of up to RM 10 billion established by Maxis Broadband Sdn Bhd, based on the Shariah principle of Murabahah (via a Tawarruq arrangement). This deal won Star Deal of the Year (Asia Business Law Journal Deals of the Year Awards 2017). Advised the joint principal advisers and joint lead arrangers in the establishment of a medium-term notes programme of up to RM 3 billion in nominal value by MEASAT Broadcast Network Systems Sdn Bhd. Advised a corporation, which was a wholly owned subsidiary of a Forbes Asia’s Fabulous 50 company and a leading global integrated oil and gas services and solutions provider, in a multi-currency Islamic medium term-notes programme of up to RM 7 billion in nominal value (or in USD equivalent), which was the first Sukuk lodged with the Malaysian Securities Commission under the new Malaysian Guidelines on Unlisted Capital Market Products under the Lodge and Launch Framework 2015. Also advised the same oil and gas giant in its senior multi-currency syndicated facilities of up to USD 5.5 billion (RM 21.34 billion) obtained from regional and international lenders, in a deal which was recognized as Malaysia Deal of the Year and Debt Market Deal of the Year (ALB Malaysia Law Awards 2015). Advised Kencana Petroleum Berhad in the merger of businesses of the Kencana Petroleum Berhad group and the Sapuracrest Petroleum Berhad group through an offer to acquire the entire business and undertakings, including all assets and liabilities of Kencana Petroleum Berhad and an offer to acquire the business and undertakings, including all assets and liabilities of Sapuracrest Petroleum Berhad, resulting in the merger of assets of an aggregate value of over RM 11.8 billion to form Sapura Kencana Petroleum Berhad, the largest O&G player in the nation and a top 5 in the world by asset size in 2012. Vijay is one of the founding partners of Albar & Partners. He is Senior Partner in charge of the firm's administration. Admitted to the Bar since 1985, Vijay heads the Litigation and Alternative Dispute Resolution (ADR) practice group. As a senior practitioner with vast experience in litigation, Vijay has conducted trials at the High Court in a broad range of civil and commercial disputes. He has also appeared as counsel before the Supreme Court (old), the Federal Court, the Court of Appeal, and arbitral tribunals in numerous complex, high stakes cases, some of which have been reported. Vijay has acted for Pengurusan Danaharta Nasional Berhad and Prokhas Sdn Bhd in complicated disputes, and advised Special Administrators in insolvency and workout proposals. LLB (Hons), University of London. Utter Barrister of the Honourable Society of Middle Temple, London. Asialaw Leading Lawyers (2014 ed): Leading Lawyer in Dispute Resolution. Benchmark Asia-Pacific (2013 ed): The Definitive Guide to the Leading Disputes Firms & Attorneys in the region: Local Disputes Star for Malaysia. Commended for “…his great experience in the areas of civil litigation and contractual disputes. He personally attends to matters and has always provided support on short notice”: Benchmark Asia-Pacific (2013 ed). Vijay serves as the firm’s AML Compliance officer. He is a member of the Disciplinary Committee, under the purview of the Malaysian Bar Council’s Advocates & Solicitors Disciplinary Board, a statutory body created by the Legal Profession Act 1976 to investigate and hear complaints made against members of the Malaysian Bar. Vijay also acts as chairman of the Disciplinary Committee on a permanent basis. Besides being an active practitioner, he often presents seminar papers on Debt Recovery, Insolvency and Receivers & Managers for leading local financial institutions as part of their training programmes for bank officers and as a speaker for the Kuala Lumpur Bar. Vijay regularly appears as a Moot Judge for the LawAsia Moot Competitions. Datuk Chandran was admitted to the Bar in 1967. 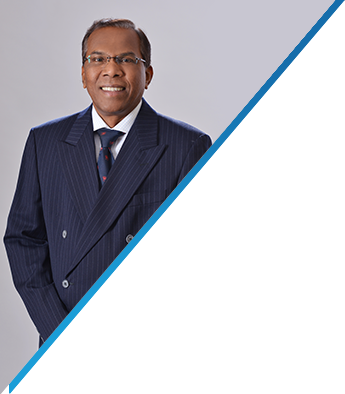 With over half a century’s experience practising the law, Datuk Chandran is among the nation’s pioneers in litigation and alternative dispute resolution (ADR). He has appeared in Malaysia's High Courts, Court of Appeal, Supreme Court (old) and the Federal Court and arbitral tribunals in numerous high-profile disputes, some of which have set precedents in the areas of banking and commercial interests and reported in the law annals. Utter Barrister of the Honourable Society of Inner Temple, London. Empanelled Arbitrator with the Asian International Arbitration Centre (Malaysia). Asia Pacific Legal 500: The Guide to Asia’s Commercial Law Firms: “Leading Individual” for Dispute Resolution since its 2002 edition until present. Asialaw Leading Lawyers (2014 edition): “Leading Lawyer” in Dispute Resolution. Benchmark Asia-Pacific (2013 edition): The Definitive Guide to the Leading Disputes Firms & Attorneys in the region: “Local Disputes Star” for Malaysia. Datuk Chandran has been described as “… focused and accurate. He always acts as a high-standard professional.”: Benchmark Asia-Pacific (2013 edition). Authored the chapter on “Partnerships” in the Halsbury's Laws of Malaysia (2001): Vol. 9, published by the Malayan Law Journal and Halsbury's Laws of Malaysia (2006 Reissue): Vol. 6 (1), published by Lexis Nexis. Authored an article entitled “Arbitration in Malaysia”, published in the book titled “Winning Legal Strategies: International Arbitration”. Authored an article entitled “Risk Management & the Practice of Law”, in Jurisk! Vol. 4 Issue 3 published by the Bar Council Malaysia, September 2008. 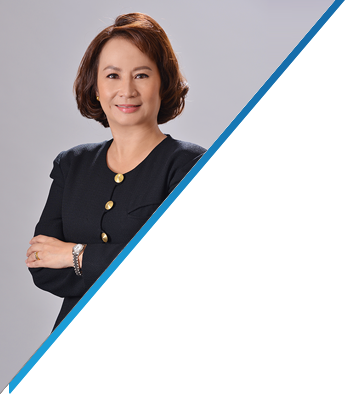 Admitted to the Malaysian Bar since 1993, Sweet Ping’s practice has spanned the areas of conveyancing involving retail and commercial real estate, corporate banking, corporate advisory and commercial litigation. With her varied experience, she now leads a team to develop, implement and monitor information systems and data infrastructure in the firm to encourage knowledge sharing and risk management. B.Ec(Economics), Monash University, Melbourne, Australia. 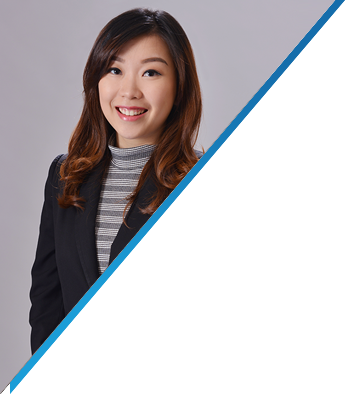 Prior to taking up her current role, Sweet Ping was a partner in the firm’s Litigation & ADR department with a practice focus on banking and commercial litigation, debt recovery, enforcement and execution proceedings and insolvency advisory. Currently, she supports the Managing Partner in overseeing the administration and implementation of knowledge sharing and risk management initiatives in the firm by developing and implementing policies and monitoring operation procedures in relation there to. She also handles the firm’s media relations with legal publications and leads in the firm’s pupillage and student recruitment, training and continuing legal education. Sweet Ping also collaborates with the firm’s AML Compliance officer to drive a culture of anti-money laundering (AML) compliance and to develop and conduct AML awareness training programmes. Serves as a Member of the Disciplinary Committee, under the purview of the Malaysian Bar Council’s Advocates & Solicitors Disciplinary Board, a statutory body created by the Legal Profession Act 1976 to investigate and hear complaints made against members of the Malaysian Bar. She also acts as Chairperson of the Disciplinary Committee on an ad-hoc basis. 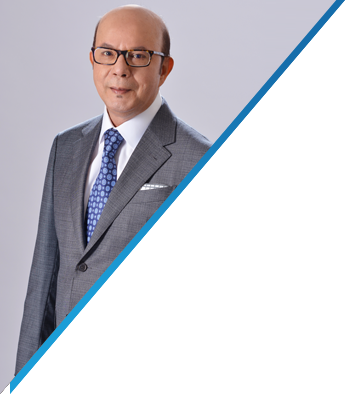 With nearly 2 decades of experience, Izian’s practice focusses on banking & finance, including syndicated & club-lending transactions, multi-facility loans, bridging loans, project financing, asset financing, share financing, cross border financing, offshore lending and subordinate debt instruments. She has handled a wide range of complex capital raising exercises involving underwritng and issuance of private debt securities including issuance of bonds, commercial papers and medium term notes (both conventional and Islamic). LL.B(Hons), University of East Anglia, Norwich, UK. Advised a leading local commercial bank to revamp its standard loan documentation in the banking group’s migration of ‘closed monies’ documentation to ‘open all-monies’ documentation. Advised the syndicated financiers in relation to a RM 600 million syndicated term loan facility granted in favour of a FPSO and integrated offshore service provider for the global oil and gas industry to part finance its equity portion of a FPSO vessel charter contract at Tano Basin, off the coast of Ghana. Advised a group of international, regional and local financiers from the perspective of Malaysian laws with regard to a USD 450 million multi facilities procured by a member company belonging to Measat Global Berhad’s group to part finance the costs relating to the construction and completion of the state-of-the-art MEASAT-3b satellite. Advised the syndicated lenders in part-financing the multi-billion Ringgit merger exercise involving a local leading property conglomerate. Advised a leading telecommunications provider in relation to a multi-billion Ringgit asset backed Sukuk Ijarah issuance in a deal which created a significant and unique class of Islamic private debt securities that incorporated the features of both a fixed income instrument, as well as an investment in a portfolio of high quality property assets. Admitted to the Bar since 1995, Natalie provides legal advice on corporate exercises and commercial transactions involving corporate and securities laws, with particular emphasis on M&As, take-overs, reverse take-overs and joint ventures, venture capital, FDIs, equity-linked offerings, placements, initial public offerings and general corporate advisory matters. Her portfolio spans an extensive list of international and local clients, including leading investment banks and financial institutions, multinational and public listed companies and private equity funds. LL.B (Hons), University of Bristol, England. LL.M (Corporate and Commercial Law), King’s College, London. Utter Barrister of the Honourable Society of Gray’s Inn, London. Asialaw Leading Lawyers Survey: “Rising Star” for Capital Markets (2014 edition). IFN Leading Lawyers Survey: “Leading Lawyer” for Real Estate and Property (2012 edition). IFLR1000: The Guide to the World’s Leading Financial Law Firms: “Rising Star” for M&A, Capital Markets and Corporate Restructuring and Insolvency, with particular industry focus on Banking, Government and Public Policy and Oil & Gas since the 2015 edition until present. Listed in “Who’s Who: Constitution, Government & Politics” for Malaysia (2013/2014 edition). Advised the purchaser, Malaysia Building Society Berhad (MBSB), in the proposed merger of MBSB and Asian Finance Bank Berhad (AFB), in which MBSB acquired 100% equity interest in AFB and merged its business with that of AFB, creating the 2nd largest stand-alone Islamic bank in Malaysia. Advised the issuer, KIP REIT in the first real estate investment trust listed on the Main Market of Bursa Malaysia Securities Berhad with a portfolio focussed on hybrid community-centric retail centres. Advised Maybank Investment Bank Berhad as the sole placement agent for a private placement involving an issuance of 316.35 million shares in Sime Darby Berhad. At closing, it was the largest primary placement in Southeast Asia for 2016, which was reported to have raised a total of RM2.36 billion. Advised the joint global coordinators, joint book runners and joint under writers in the first concurrent dual listing of IHH Healthcare Berhad, an integrated healthcare provider, on the Malaysian & Singapore Stock Exchange. The deal was acclaimed Malaysia Capital Markets Deal of the Year (International Financing Review (IFR) Asia 2012 Awards), besides winning Asian-MENA Counsel Deal of the Year 2012 award. 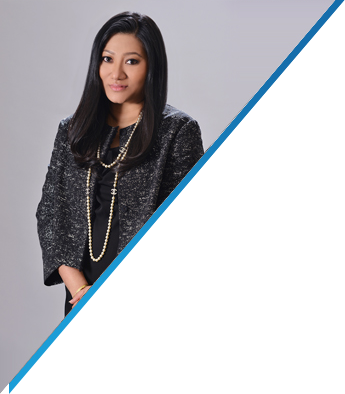 Admitted to the Malaysian Bar in 1992, Hooi Ping has extensive experience in corporate and securities transactions, canvassing domestic and cross border M&As, voluntary and mandatory take-over offers, reverse take-overs, joint ventures, venture capital, FDIs, divestments, corporate and debt restructuring. She has advised on a wide range of capital market instruments, hybrid and derivative products and capital raising exercises, REITs and privatisations. She is also well-versed in the field of corporate governance and competition laws. Banking & Finance, Corporate & Commercial, Capital Markets (Debt & Equity), Islamic Finance. LL.B (Hons), University of Leeds, UK. Utter Barrister of the Honourable Society of Lincoln’s Inn, London. Asialaw Leading Lawyers annual survey and Asialaw Profiles: Definitive Guide to Asia Pacific’s leading regional and domestic law firms and lawyers: “Leading Lawyer” for Corporate/M&A since 2017 edition until present. IFLR1000: The Guide to the World’s Leading Financial Law Firms: “Rising Star” for Banking and M&A since 2017 edition until present. Hooi Ping has been commended as being “Very committed” – Asialaw Profiles (2018 edition). “Strong industry knowledge and able to provide innovative solutions.” – IFLR1000 (2018 edition). “Excellent lawyer - responsive and great technical knowledge.” – IFLR1000 (2018 edition). Advised Prestariang Berhad and its group of companies including Pestariang SKIN Sdn Bhd, the concessionaire of the System Kawalan Imigresen National (SKIN) granted by the Government of Malaysia, in relation to the concession agreement and other related agreements including project financing, master development agreement, master maintenance service agreement and value added service agreements in respect of the SKIN project. Advised Felda Marketing Services Sdn Bhd on the disposal of its 16% shareholding in AXA AFFIN General Insurance Berhad to AXA Asia and AFFIN Bank Berhad respectively. Advised the offeror in the mandatory general offer and take-over of NCB Holdings Bhd by MMC Port Holdings Sdn Bhd, which won M&A Deal of the Year (Mid-Size) (ALB Malaysia Law Awards 2017). Advised the financier in the multi billion Ringgit Islamic Commodity Murabahah term facility granted to part finance the acquisition of shares in NCB Holdings Bhd as part of the take-over exercise. Advised the sole principal adviser, sole lead arranger and sole lead manager in the RM 1.5 billion Sukuk Murabahah pursuant to a Sukuk Murabahah Programme established by MMC Corporation Berhad. 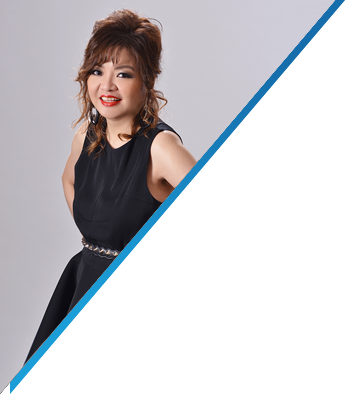 Prior to joining Albar & Partners, Hooi Ping was a member of the Executive Committee holding various positions including Vice President of Human Resources, Vice President (Legal & Business Affairs) and Company Secretary at Lafarge Malaysia Berhad. She also serves as the PDPA Compliance Officer for Albar & Partners. 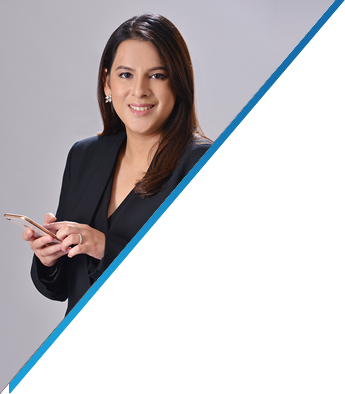 Admitted to the Malaysian Bar since 2002, Cassandra's practice focuses on Equity Capital markets including initial public offerings, rights issues, secondary offerings and private placements. She is experienced in M&As, take-overs, reverse take-overs, venture capital, corporate and debt restructuring, corporate finance and REIT transactions. She has also advised on the establishment of conventional and Islamic commercial papers, medium-term notes and Sukuk programmes in the Debt Capital markets sector. LL.B (Hons), University of London. Asialaw Leading Lawyers survey: “Rising Star”for Corporate/ M&A (2014 edition). IFLR1000: The Guide to the World’s Leading Financial Law Firms: “Rising Star” for Capital Markets: Debt & Equity, Financial Services Regulatory and Project finance since the 2015 edition until present. According to clients surveyed, Cassandra “… was instrumental coordinating the information gathering, providing very in-depth yet practical approach in various issues, particularly matters dealing with relevant authorities.” - IFLR1000: Financial and Corporate (2015 edition). Cassandra has been commended as being“…very reliable, responsive and has a good understanding of client's needs.”- IFLR1000(2018 edition). Advised the purchaser, Malaysia Building Society Berhad (MBSB), in the merger of MBSB and Asian Finance Bank Berhad (AFB), in which MBSB acquired 100% equity interest in AFB, creating the 2nd largest stand-alone Islamic bank in Malaysia. Advised the issuer in the public offering of shares by Serba Dinamik Holdings Bhd in conjunction with its listing on the Main Market of the Malaysian stock exchange: Equity Market IPO Deal of the Year 2017 (ALB Malaysia Law Awards 2017) and Best Mid-Cap Equity Deal in Southeast Asia 2017 (11th Annual Alpha Southeast Asia Deal & Solutions Awards 2017). Advised the offeror in the mandatory general offer and take-over of NCB Holdings Bhd by MMC Port Holdings Sdn Bhd: M&A Deal of the Year (Mid-Size) (ALB Malaysia Law Awards 2017). Advised the issuer in the Malakoff Corporation Berhad RM2.74 billion IPO: Equity & IPO Deal of the Year 2015 (Islamic Finance News Awards 2015) and IPO Deal of the Year (Asian Lawyer’s Emerging Markets Awards 2015). 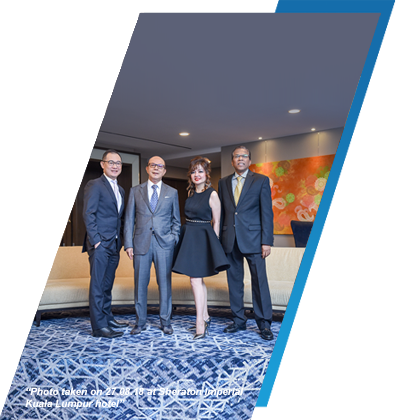 Advised the issuer in the Boustead Plantations Berhad IPO and Boustead REIT privatisation: Best Islamic Privatisation (Triple A Islamic Finance Awards 2014), Islamic Finance Deal of the Year (Asian Lawyer’s Emerging Markets Awards 2014) and Equity Market Deal of the Year (ALB Malaysia Law Awards 2015). Admitted to the Malaysian Bar in 2003, Raiza is an experienced practitioner whose practice focuses on banking and commercial litigation including disputes relating to director’s duties and money-laundering. Her experience extends to corporate insolvency, liquidation and receiverships and she also advises on capital reduction, schemes of arrangement, debt recovery and enforcement proceedings. She regularly appears to conduct hearings and trials in both the Sessions Courts and High Courts. Raiza has also appeared as counsel before the Court of Appeal on appellate matters and in matters involving injunction hearings. B. Jurisprudence (Hons), University of Malaya, Malaysia. Certificate of Mediation from the Royal Roads University of Canada. Majlis Perbandaran Seberang Perai v. Pengurusan Dana harta Nasional Berhad; Ascort Frontier Sdn Bhd (Third Party) (2015). AmBank (M) Berhad v. Messrs Abd Gani Che Man & Co (2014). Yeng Chong Realty Bhd v. Tenaga Nasional Berhad & Ors (2006). S. Muthu Kumar & Ors v. Lim Eng Kok & Ors (2006). Represented Malaysia Building Society Berhad (MBSB) in a Court application pertaining to a scheme of arrangement with its shareholders in respect of a proposed merger which encompassed the acquisition of Asian Finance Bank Berhad (AFB) and transfer of the Shariah-compliant assets and liabilities of MBSB to AFB. The merger resulted in MBSB emerging as a full-fledged Islamic banking franchise in Malaysia. After successfully obtaining the Court order for the Court Convened Meeting in 2017, Raiza further represented MBSB to obtain the Court’s sanction in respect of the scheme of arrangement in 2018. Represented the nation’s sole rice importer, Padiberas Nasional Berhad, to obtain the Court order to sanction its proposed privatisation and selective capital reduction and repayment exercise, which was among the first selective capital reduction petitions made pursuant to the Companies Act 2016 and the Rules on Take-Overs, Mergers and Compulsory Acquisitions. Admitted to the Malaysian Bar in 2008, Dalilah has advised a multitude of clients, both local, regional and international financial institutions, financial advisers, private equity sponsors and corporate borrowers on a variety of finance issues both in conventional and Islamic transactions (on a bilateral, syndicated and club-lending basis), multi-facility loans, bridging loans, project financing and asset financing. Her experience also includes cross border financing, offshore lending and securitisation. Her practice canvasses advising on debt capital market instruments. 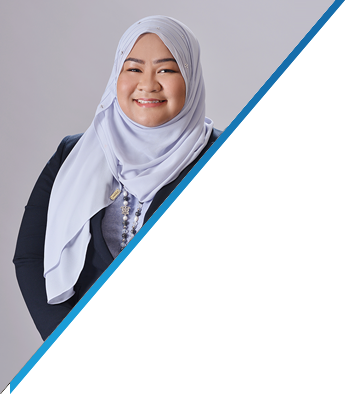 She has handled hybrid and derivative products, capital raising exercises involving underwriting and issuance of private debt securities besides advising in the establishment of commercial papers, medium-term notes and Sukuk programmes. LL.M, University of Nottingham, UK. IFLR1000: The Guide to the World’s Leading Financial Law Firms:“Notable Practitioner” (2018 edition). Advised the principal adviser and the joint lead arrangers in the issuance of Sukuk of up to RM 245 million in nominal value by Sinar Kamiri Sdn Bhd under the Shariah principle of Wakalah Bi Al-Istithmar based on the Securities Commission's Sustainable and Responsible Investment Sukuk initiative to part finance the construction of a solar photovoltaic energy generating facility with a capacity of 49MWac in Perak. Advised the principal adviser and lead arranger in the establishment of a multiple tranche medium-term notes programme for issuance of medium term notes of up to RM 5 billion in nominal value established by IGB REIT Capital Sdn Bhd to refinance existing financing facilities incurred in connection with the injection of Mid Valley Megamall and The Gardens Mall into IGB REIT. Advised the principal advisers and joint lead arrangers in the establishment of unrated medium-term notes programme for issuance of unrated medium term notes of up to RM 1 billion in nominal value established by Southkey Megamall Sdn Bhd to part finance the development and construction of a shopping mall in Johor, Malaysia. Advised a corporation, which was a wholly owned subsidiary of a Forbes Asia’s Fabulous 50 company and a leading global integrated oil and gas services and solutions provider,in a multi-currency Islamic medium term notes programme of up to RM 7 billion in nominal value (or in USD equivalent), which was the first Sukuk lodged with the Malaysian Securities Commission under the Malaysian Guidelines on Unlisted Capital Market Products under the Lodge and Launch Framework 2015. Acted for a private equity firm to negotiate an acquisition financing of RM 40 million in relation to the purchase of the entire stake of local high-end supermarket chain, Ben’s Independent Grocer. Acted for a borrower corporation to negotiate a multi-million Ringgit financing to part finance its acquisition of a group of companies from a local oil and gas giant under the latter’s internal corporate restructuring exercise, in which the said oil and gas giant disposed their non-oil and gas companies to the borrower corporation. With over a decade of experience, Abraham’s practice focuses on banking & finance, debt capital markets and real estate. Abraham has advised local, regional and international financial institutions, investment banks, private equity funds, real estate investment trusts, conglomerates and multinational companies on a range of finance issues including assets and acquisition financing, project financing, mezzanine financing, ship and aircraft financing for both domestic and cross border transactions. In addition, he has had significant experience in a wide range of debt capital raising exercises involving the issuance of Sukuk, corporate bonds, subordinated debt instruments as well as perpetual bonds. LL.B (Hons),University of Northumbria at Newcastle, UK. IFLR1000: The Guide to the World’s Leading Financial Law Firms (2018 ed): Notable Practitioner. Advised the advisers and arrangers in the establishment of RM 800 million unrated perpetual Sukuk Wakalah Al-Istithmar by Tanjung Bin Energy Sdn Bhd with respect to its 1,000 MW super-critical coaled fired power plant. The deal was recognised as Perpetual Deal of the Year (IFN Deals of the Year Awards 2017). Advised the advisers and arrangers in the establishment of master programmes of RM 3.0 billion comprising commercial papers of up to RM 1.5 billion and medium-term notes of up to RM 1.5 billion by MRCB-Quill Real Estate Investment Trust. Part of the legal team which advised KIP REIT in its listing on the Main Market of Bursa Malaysia Securities Berhad as the first real estate investment trust focussed on hybrid community-centric retail centres. Part of the legal team which advised Maybank Islamic Bank in the RM 354.694 million project financing to part finance the construction and development of Langat 2 water treatment plant. Advised Weststar Aviation Services Sdn Bhd, the biggest operator of offshore helicopter transportation services for the oil & gas industries in South East Asia, in its RM 1.9 billion Islamic aircraft acquisition financing. 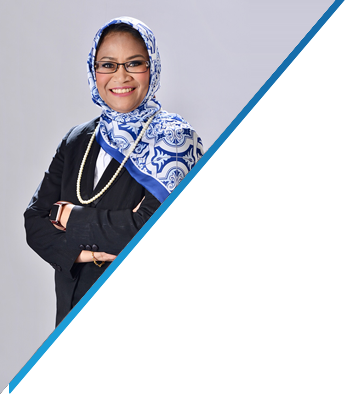 Admitted to the Malaysian Bar in 2010, Nurbaiyah has experience advising local conglomerates on a range of corporate exercises including initial public offerings, mergers and acquisitions (involving public and private corporations), rights issue and take-overs, besides providing general advice on corporate governance and compliance. LL.B (Hons), International Islamic University, Malaysia. Advocate & Solicitor of the High Court of Malaya. Advised FELDA Marketing Services Sdn Bhd, on the disposal of its 16% equity interest in AXA AFFIN General Insurance Berhad to AXA Asia and AFFIN Bank Berhad. Advised Perangsang Packaging Sdn Bhd (offeror) and Kumpulan Perangsang Selangor Berhad (ultimate offeror) in an unconditional mandatory take-over of Century Bond Bhd. Advised the issuer in the public offering of shares by Serba Dinamik Holdings Bhd, in conjunction with its listing on the Main Market of the Malaysia stock exchange “Equity Market IPO Deal of the Year” (ALB Malaysia Law Awards 2017). 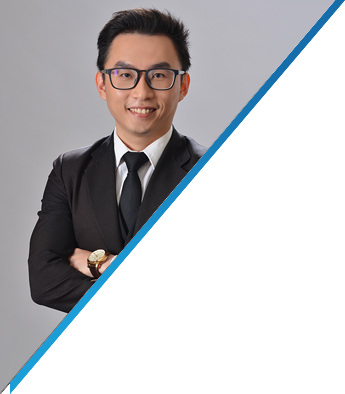 Admitted to the Malaysian Bar in 2011, Niv has vast experience in a wide range of banking & finance practice. He has acted for domestic and international financial institutions, multinational companies and conglomerates in various corporate banking, Islamic finance and debt capital market transactions including syndicated & club-lending transactions, project financing, asset financing, share financing and debt capital fund raising exercises involving the issuance of corporate bonds, Sukuk, asset-backed securities, subordinated debt instruments, perpetual securities and quasi-equity instruments. LL.B (Hons), Multimedia University, Malaysia. Advised the coordinating bank, the joint principal advisers and joint lead arrangers, the mandated lead arrangers and the syndicated lenders in respect of the multi-currency project financing (comprising syndicated US Dollars term loans, syndicated Malaysian Ringgit term loans and Malaysian Ringgit Islamic medium terms notes) of up to RM 8.2 billion undertaken by Tanjung Bin Energy Issuer Berhad, a wholly-owned subsidiary of Malakoff Corporation Berhad, to finance the design, construction, operation and maintenance of the 1,000 MW coal-fired electricity generating facilities located at Tanjung Bin, Daerah Pontian, Johor. Advised the principal adviser and lead arranger in respect of the corporate reorganisation exercise to restructure Malakoff Corporation Berhad group’s debt instruments into Shariah-compliant instruments involving a series of complex and intricate transactions under various Shariah principles including Murabahah, Bai al-Dayn bi al-Sila, Kafalah, Mudharabah and Tawarruq. Advised the joint principal advisers and joint lead arrangers in respect of the issuance of unrated subordinated Islamic perpetual notes pursuant to a Sukuk Musharakah Programme of up to RM 700 million in nominal value under the Shariah principle of Musharakah by S P Setia Berhad. Advised the principal adviser and lead arranger in respect of the issuance of medium term notes pursuant to a medium term notes programme of up to RM 400 million pursuant to the securitisation of a multilevel commercial building identified as “Plaza33”. Advised the principal adviser and lead arranger in respect of the issuance of subordinated Islamic perpetual notes pursuant to a Sukuk Musharakah Programme of RM 2 billion in nominal value under the Shariah principle of Musharakah by DRB-Hicom Berhad. 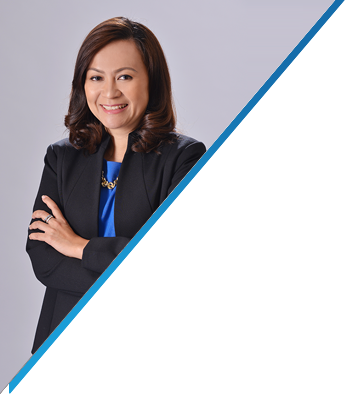 Admitted to the Malaysian Bar in 2012, Alicia’s practice covers banking and finance related matters, with particular focus on corporate and syndicated lending, Islamic financing, project financing, acquisition financing, real estate and REIT finance, restructuring and refinancing. She has also been involved in debt capital markets transactions in conventional and Islamic structures. Advised the principal adviser and lead arranger in the establishment of an unrated medium term notes programme for issuance of unrated medium term notes of up to RM 950 million in nominal value established by Amanahraya REIT to, inter alia, part finance the acquisition of the Vista Tower located in Kuala Lumpur. Advised the principal advisers and joint lead arrangers in the establishment of an unrated medium-term notes programme for issuance of unrated medium term notes of up to RM 1 billion in nominal value established by Southkey Megamall Sdn Bhd to part finance the development and construction of a shopping mall in Johor, Malaysia, known as Mid Valley Southkey Megamall. Advised a local financial institution in respect of a US Dollar term loan and cross currency swap facility granted to a non-resident controlled company to part finance its acquisition of Renaissance Kuala Lumpur Hotel together with the hotel business and assets. Advised a local Islamic financial institution in respect of a Ringgit financing facility under the Shariah principle of Musharakah Mutanaqisah granted to a company that is wholly owned by one of the largest oil palm and rubber plantation company in Malaysia.